Andrew Saul has been a consulting specialist in natural healing for over 30 years. He has a Ph.D. in Human Ethology. As an author and veteran lecturer for three colleges his command of clinical nutrition is second to none. 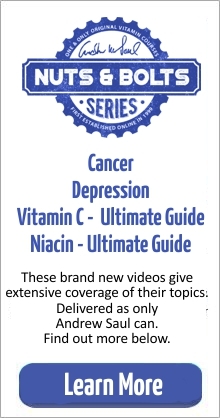 His world-famous, peer-reviewed, non-commercial natural healing website, www.DoctorYourself.com, receives over 40,000 hits per day. Psychology Today named Saul as one of seven natural health pioneers. 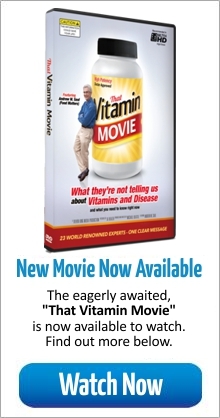 He is featured in the documentary Dying to Have Known: The Evidence Behind Natural Healing and the very popular Food Matters movie. He has authored or co-authored fourteen books, including four with Abram Hoffer. Saul is currently Editor of Basic Health Publications’ popular Vitamin Cure book series, with over a dozen titles in print or in progress. 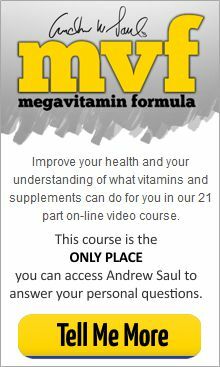 We run frequent courses called the MegaVitamin Formula Course. Please leave your email in the box at the top for more details when available.